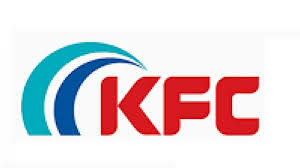 KFC Jobs Recruitment Notification 2018.Kerala Financial Corporation inviting applications for the positions of Internal Auditor.Interested and Eligible candidates can apply for the positions. Last Date for Submission of Application is on July 13th, 2018..
1. Qualification. Retired KFC employees in the rank of AGM & above, age not exceeding 62 years as on 29.06.2018 and shall be well versed with the operations of the Corporation. 2. Remuneration. Consolidated pay of Rs.40000.00 per month. (i) The applications should be submitted strictly in the format prescribed. (ii) The notification can be withdrawn at any time by the competent authority without assigning any reason there for. The cancellation, if any, will be published in the web site of the Corporation. (iii) All other usual conditions of appointment shall apply. The selection will be done through an interview conducted by the Selection Committee constituted for the same. 1. The applicants should apply in the format given as Annexure ‘A’ to the notification. The application forms should be sent by registered post/speed post to “The General Manager, Head Office, Kerala Financial Corporation, Vellayambalam, Trivandrum -695033, Kerala”, super scribing name of the post on the envelop. The application should be complete in all aspects. Incomplete and ineligible applications will be summarily rejected. 2. Last date of receipt of application. The last date of receipt of application at KFC will be 13.07.2018, 5 PM. Applications received after the last date will be summarily rejected without any notice to the applicant. The applicants working in Govt and PSUs should apply through proper channel. 3. Date of Interview. The interview will be held on 25 Jul 2018 at 10 AM at Head Office, Kerala Financial Corporation, Vellayambalam, Trivandrum. No further notice will be served to the applicants to appear before the Selection Committee. The applied candidates, having the qualifications specified in Para 1 above, shall report for the interview with proof of age and qualifications. In case of change of date of interview, the same will be intimated through email. No TA/DA will be paid for the interview.